It has been a little while since I last posted here. Mostly, my new church schedule has thrown my rhythm off, and I got out of the habit. But not it’s time to repent and get back to it! This week’s topic is based on a question from Lacey. She mentioned meeting someone who talked about making use of the Atonement every day, and she asks for my thoughts on that topic. So without further ado, let’s get on with it! Much can be said of the Atonement of Christ. And in fact, in our church, much is said about it. Indeed, almost every meeting, testimony, or talk sooner gets around to mentioning topic. We say we are thankful for the Atonement, we praise God for its marvelous power, we repeat it in the Articles of our Faith. And yes, much like the person Lacey described, some like to talk about the need to call upon the Atonement daily. At its heart, the concept is simple: Jesus suffered so that we can be reunited with God. Yet, for those who can handle the truth, I think few people truly comprehend the Atonement. I’m not sure I do, even. There are so many facets. There is an “enabling” power, there is a “restorative” power, there is a “healing” power…and many, many more. Much like all the parables of Christ, the Atonement, his greatest and most important parable, conceals deep doctrines behind its simple statements. The concept itself is easy, but this belies the complex and infinite power of the Atonement itself. In short, the Atonement has all the power to make an ordinary man or woman into a god or goddess. It has the power to strip away mortality and make us immortal. It can burn through ignorance and prejudice and replace them with omniscience and unconditional love. It can transform a body plagued with sin and temptation into a vessel of glory that is incorruptible. It can rip away the Veil and bring us home to our Heavenly Father. It can cleanse, it can heal, it can restore, it can bind up the broken heart. It can allow us to let things go. It can help us become stronger and overcome. And this is certainly not all the Atonement can do. It is a doctrine of concealed complexity. It is a divine mystery, and the world’s greatest minds could, were they so inclined, plumb the depths of the doctrine for entire lifetimes and still be discovering new truths. In the Church today, it is common for some to make statements about learning to apply the Atonement daily. This is, in its own way, dangerous rhetoric unless stated in the utmost sincerity. The Atonement, as the most sacred and significant doctrine in our spiritual repertoire, must not be cheapened by careless use of statements like this. Yet, although we must be careful, there is clearly significance in the statement, for indeed, the Atonement is a panacea for the soul, and its packaging comes with the bold directions “RECOMMENDED FOR DAILY USE” and “APPLY LIBERALLY!" But for beings trapped in temporality, how can the Atonement’s eternal aspects afford everyday application? Recalling that the core of the doctrine of the infinite Atonement is the changing of us from flawed to perfect, the best way to find everyday use for the doctrine is to evaluate areas of inadequacy. And while learning to make full use of the infinite Atonement is the quest of a lifetime, I pose the following common scenarios where these truths may be most effective. 1. 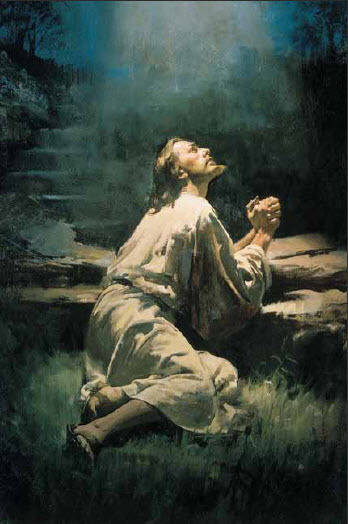 Call upon the power of the Atonement to receive forgiveness. In the world in which we live, sin is no stranger. As part of living in the modern world, it is difficult, if not impossible, to keep our eyes eternally single to God’s glory. Indeed, our eyes do tend rather to wander, and as such, we are regularly enticed and tempted to sin. Obviously, we want to minimize our failings, but any amount of honest introspection will reveal that even the most pious person regularly fails to maximize his potential and be all that he knows the Lord wants him to be. And it is in overcoming these sins, weaknesses, and frailties that we can first learn to call upon the Atonement each day. Remember that, no matter what you do, the Savior paid the price for that sin. This is, of course, not a license to go to the all-you-can-sin buffet. Rather, this is a comfort that, each time you fail to reach your potential, you can obtain instant and infinite forgiveness. The difference between the person who understands the Atonement and the person who does not, though, is that she who understands and utilizes the Atonement will be motivated by her failures to do better. See, just plain forgiveness is not the point of the Atonement – the point of the Atonement is exaltation. As you fall upon your knees at night, seek not just for cleansing, seek guidance as to how to turn your failures into lessons and to grow. Recall that the Atonement is a doctrine of change. One of the best and highest purposes of a daily dosage is to help us have strength to change ourselves and let the power of Christ change us as well. 2. Call upon the power of the Atonement to heal you. There are many different types of people in the world, and each of us have our own flaws. One of the most common human flaws is a tendency to “treasure up” resentment. Whether it be imagined injuries or significant slights, each time we have a negative experience, we store some of that negativity inside ourselves. Much as fat cells store excess food in the body, these engrams are the fatty tissue of the soul. And while some people have an easier time at "letting go” than others, all are afflicted. However, by calling on the power of the Atonement, we can allow light to return. We can learn that the Atonement is a restoration of all things, and that, if we call upon the power of Christ, we can have any resentment or hurt burned out by the fires of the Spirit in the very instant. This is something I did not learn until I was 26, so I wasted years and years of my life. But the day I learned that the power of the Atonement would allow me to let things go instantly was one of the happiest days of my life. Indeed, while the mission of Christ on Earth often involved healing the physically afflicted, his true and eternal mission is to heal those afflicted with maladies of the soul. The power of his Atonement allows us, of our own free will and choice, to cast this burden upon Christ and instead take the lightening and enlightening yoke of exaltation upon our shoulders. 3. Call on the power of the Atonement to strengthen you. Making true use of the Atonement is not just asking God for strength, it is casting your weaknesses, your fears, your insecurities, and your trials upon him. After all, he said “Cast thy burden upon the LORD, and he shall sustain thee” (Psalm 55:22). This is exactly what Nephi did. Read his words: “why should my heart weep and my soul linger in the valley of sorrow, and my flesh waste away, and my strength slacken, because of mine afflictions?” (2 Nephi 4:26). But he did not just “wish” it – in a Frank N. Furter-esque moment, he chose to “be it” instead of merely dreaming it. So when his father said “Go get the plates,” he cast the fear he must have felt on the Savior and went. This is why he never writes “and I, Nephi, was actually scared out of my wits as I crept forth at night around Jerusalem.” Nephi traded his fear for faith, and he did so through the power of the Atonement. In fact, if you re-read that entire story with this in mind, you will notice countless examples of where Nephi must have been terrified, but nonetheless pressed on and did what needed to be done. The same thing happened when it came time to build his ship. He obviously felt unequal to the task, yet he took that fear and inadequacy and cast it upon the Lord and took, in its place, faith. Then, armed with that faith, he did what he needed to do. Making true use of the Atonement allows us to acknowledge that we have weaknesses or fears or other challenges but decide not to allow them to prevent us from doing what needs to be done. We cast those away, and take the yoke of the Savior, a yoke of power, strength, confidence, and faith, in their place. This is the ultimate upgrade! 4. Call upon the power of the Atonement to enable you to endure. I have previously written about how sometimes we need to endure tribulation. This is really only bearable through the power of the Atonement. There are people who, for whatever reason, are called upon to suffer. The suffering could be self-inflicted through sin, or it could be a natural consequence of mortality, or it could be a refining tribulation set to teach a lesson of godliness. Whatever it may be, enduring it is a necessary part of mortality. However, armed with the Atonement, we are able to bear whatever it is we are called upon to suffer. In the words of Elder Neal A. Maxwell: “The thermostat on the furnace of affliction will not have been set too high for us – though clearly we may think so at the time. Our God is a refining God who has been tempering soul-steel for a very long time. He knows when the right edge has been put upon our excellende and also when there is more in us than we have yet given. One day we will praise God for taking us near to our limits – as He did His Only Begotten in Gethsemane and Calvary.” (All These Things Shall Give Thee Experience, chapter 3). I take great comfort in the fact that Shadrach, Meshach, and Abednego, when standing in the midst of the fiery furnace, were very clearly not alone. (Daniel 3:25). Even Christ himself, in his moments of agony, was sent an angel (in my opinion, probably Adam/Michael) to give him comfort and support (Luke 22:43). In neither of these instances did the support of heaven lessen the pressure or turn down the heat, but neither did heavenly help dampen or cheapen the significance of the event. God loves us enough not to let us control that aspect. However difficult it must be to hear our plaintive cries, he mercifully turns a deaf ear to our pleas for deliverance. However, he gladly allows us to call upon the strengthening power of the Atonement to allow us to endure it well. Since Christ has already been there, he is able to visit us and comfort us in these moments of pain. While there may be no escape from the furnace of affliction, it is clear that our Father in Heaven does not expect us to endure it alone; the Atonement promises that there is at least one person who has gone through it as well. Since that person is our omniscient, omni-loving, and all-powerful Savior, this should be comfort indeed. 5. Call upon the power of the Atonement to withstand temptation. The final topic of this discussion is similar t the last. However, where the prior topic dealt with enduring affliction, here I would speak of withstanding temptation. I have already written on this particular matter elsewhere. However, it bears mentioning, since withstanding temptation is one of the most valuable and significant features of the Atonement. Peter, who knew all about the meaning go temptation and trial, said: “Beloved, think it not strange concerning the fiery trial which is to try you, as though some strange thing had happened unto you. (1 Peter 4:12). And while I need not repeat discussions we had a year ago on this topic, I will say that, perhaps more than any one thing, Jesus knew what it felt like to experience temptation. Those who think three questions by the Devil in the wilderness were the sum total of the temptations of Christ truly do not understand him. Each day was a temptation. From the moment he was old enough to understand, the Adversary tried to get him to slip up. Whether it was the fairly standard sensory temptations of mortality or the temptation to take the glory unto himself and show the thankless multitudes the true mortal meaning of majesty and power, Jesus lived a life of constant and endless temptation. Yet, because he never slipped up, never surrendered, never let his guard down for a minute, Jesus also has a unique mastery of withstanding temptation. As C.S. Lewis put it: "No man knows how bad he is till he has tried very hard to be good. A silly idea is current that good people do not know what temptation means. This is an obvious lie. Only those who try to resist temptation know how strong it is. After all, you find out the strength of the German army by fighting against it, not by giving in. You find out the strength of a wind by trying to walk against it, not by lying down. A man who gives in to temptation after five minutes simply does not know what it would have been like an hour later. That is why bad people, in one sense, know very little about badness — they have lived a sheltered life by always giving in. We never find out the strength of the evil impulse inside us until we try to fight it: and Christ, because He was the only man who never yielded to temptation, is also the only man who knows to the full what temptation means — the only complete realist.” (Mere Christianity). Simply put, in our moments of greatest temptation, we are actually more like Christ than we probably realize. When we find the urge to be angry, to lie, to give in to lust, to scorn others, to say something unkind – these are temptations Jesus actually experienced as well. And while we may not experience walking on water or feeding a multitude in this life, we can take great comfort from knowing that, in the moments of greatest attack, we are in perfect harmony with our Savior as long as we do not give in. 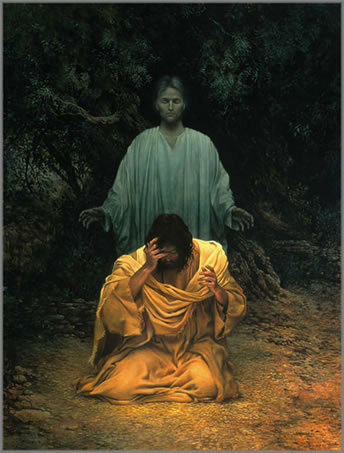 Our Savior smiles on us as we resist, and through this sublime oneness and the power of his Atonement, he can take us by the hand and encourage us to withstand just a little longer. The five suggestions above are the ways I think the Atonement can be most useful in everyday life. But before any aspect of this marvelous doctrine can be useful, each individual needs to experience for himself the true majesty of communication with God. It is one thing to talk and testify of Christ, but it is quite another to commune with him. The only way the Atonement can be useful for everyday application is if you first take the time to build a foundation of faith. Start with those most basic yet eternally significant questions; Do I actually believe Jesus Christ, the Son of God, voluntarily atoned for me? Does he actually still live and guide and direct the affairs of man today? Take those questions to the Lord and wait for his response. For without a firm foundation, the Atonement is merely a comforting story. But once you taste the Living Water that flows from the fount of every blessing, the Atonement ceases to be a story and becomes an active, burning, living doctrine. Personally, I truly believe in Christ. I believe he is my Savior, and that if I try to apply his Atonement daily, he can make me into what my Heavenly Father desires me to be. In closing, I would warn that daily application of the Atonement has certain side effects. For example, those who regularly apply it find, over time, that they are kinder, more charitable, less irritable, more inclined to serve and help others, happier, more hopeful, more active in church, and above all, more Christ-like. Therefore, study the Atonement fervently and prayerfully, and then drink daily from its sanctifying, healing power!